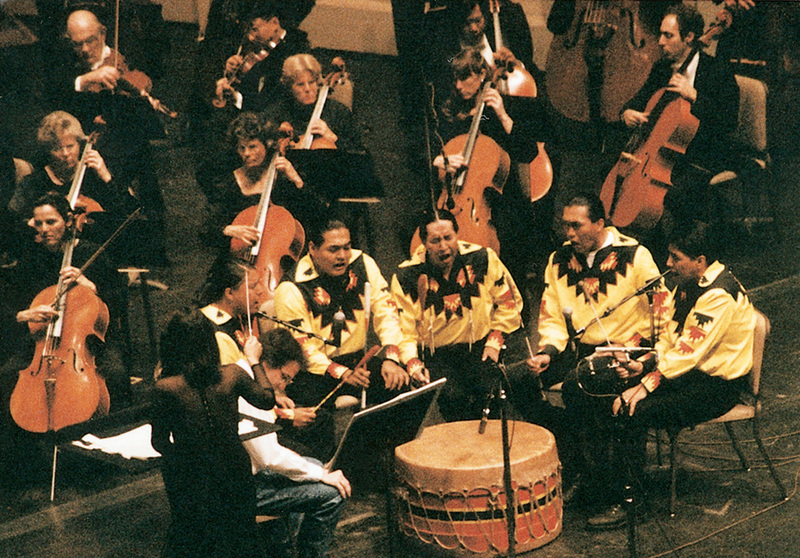 Composer James DeMars recalls a memorable intercultural collaboration, the fruit of his partnership with Robert Doyle of Canyon Records. James DeMars (b.1952) Composer/conductor James DeMars belongs to a generation that is revealing a new integration of world music with the range, depth and stylistic variety of the classical tradition. His works include concerti for violin, piano, African drum ensemble, pow-wow singers, Native American flute, several cantatas, a requiem mass and an opera. Ensembles that perform DeMars’ music include the New York Choral Society, Brooklyn Philharmonic, Mormon Tabernacle Choir, Utah Symphony, Philadelphia Orchestra, Buffalo Philharmonic, Phoenix Symphony, California Symphony, and Chicago Sinfonietta. 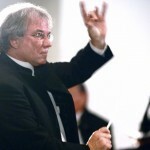 As a conductor, DeMars’ performances include the national premiere of his work, An American Requiem, at the Kennedy Center in Washington and nationally televised performances at Cathedral of St. John the Divine in New York. In 1997 he conducted the European premiere at Église La Trinité in Paris with members of the Orchestre de Paris and was honored with induction to the French Order of Arts and Letters. 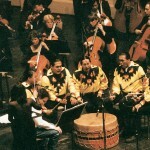 DeMars’ Two World Concerto (1993), which received two Native American Music Awards and has been performed more than 30 times, led to the 2008 creation of DeMars’ inter-cultural opera, “Guadalupe: Our Lady of the Roses”. 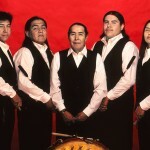 With Native American flutist R. Carlos Nakai DeMars has released four recordings and one book for Canyon Records. DeMars holds a doctorate from the University of Minnesota and currently teaches composition at Arizona State University in Tempe. 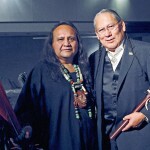 In 2010 he received the Arizona Artist of the Year Governor’s Award. Aesthetic influences include the writings of Joseph Campbell and Albert Camus. 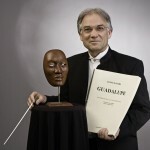 James DeMars’ latest work, “Desert Solitude”, will be performed by the Tucson Symphony, Friday, Feb. 10, 2012 at 8pm and Sunday, Feb. 12, 2012 at 2pm. 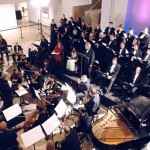 For more information, visit http://www.tucsonsymphony.org/. Additional Audio: James DeMars describes the original inspiration behind his opera, “Guadalupe, Our Lady of the Roses”. Additional Audio: Excerpt from the 3rd movement of the Two World Concerto by James DeMars, featuring R. Carlos Nakai with the Canyon Symphony Orchestra.